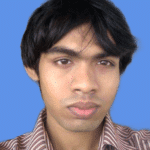 vsftpd is an open source FTP server. It is very secure and extremely fast. vsftpd is also stable. It is easy to configure as well. In this article, I am going to show you how to install and configure the vsftpd FTP server on Ubuntu 18.04 LTS. 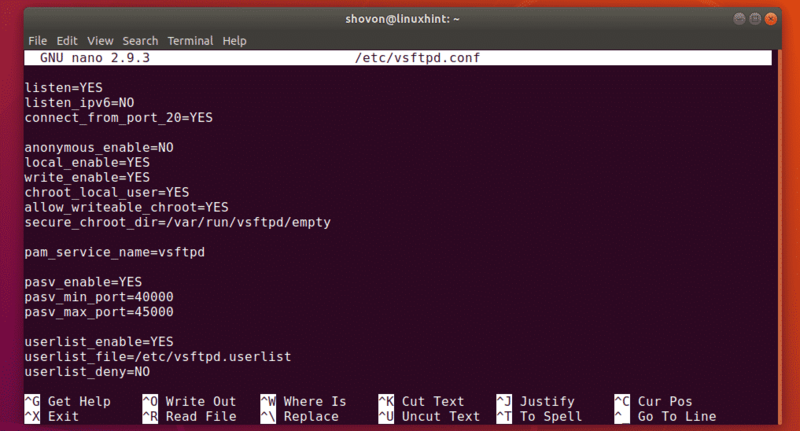 Vsftpd is available in the official package repository of Ubuntu. So, you can easily install it on your Ubuntu machine with the APT package manager. The vsftpd configuration file is /etc/vsftpd.conf. The original vsftpd configuration file has all the supported options (most of them are commented out) with a lot of documentation to help you easily understand what these options do. So, I prefer keeping a backup of the original configuration file and creating a new blank configuration file. Then, put all the configuration options that you want to apply to the new configuration file. That way, if you need any help, you can always take a look at the backup configuration file. The configuration file will also be very small and simple. If you need any help, you can always take a look at the original backup copy of the configuration file. In this article, I will configure a very simple FTP server where you will be able to log in as any user on the server and upload files in their respective home directories. Now, type in the following lines in the configuration file and save the file by pressing <Ctrl> + x followed by y and <Enter>. Now, let’s say, you want to let only the users linda, alex and bob access their home directories via FTP. To do that, you have to add these usernames to a list /etc/vsftpd.userlist. Now, type in the usernames that you want to allow access to their HOME directories via FTP here. Then, save the file by pressing <Ctrl> + x followed by y and <Enter>. As you can see, the vsftpd service is running. So, we configured it correctly. Now, you have to add new users (let’s say linda, bob, alex) on your operating systems. Then, these users will be able to login to the FTP server and upload files. You also have to set a login password for the user linda. This will also be FTP login password for the user linda. Now, type in a password for linda and press <Enter>. Re-type the same password for linda and press <Enter>. The password should be set. The same way, create the user bob and alex. Also set a password for the user bob and alex. 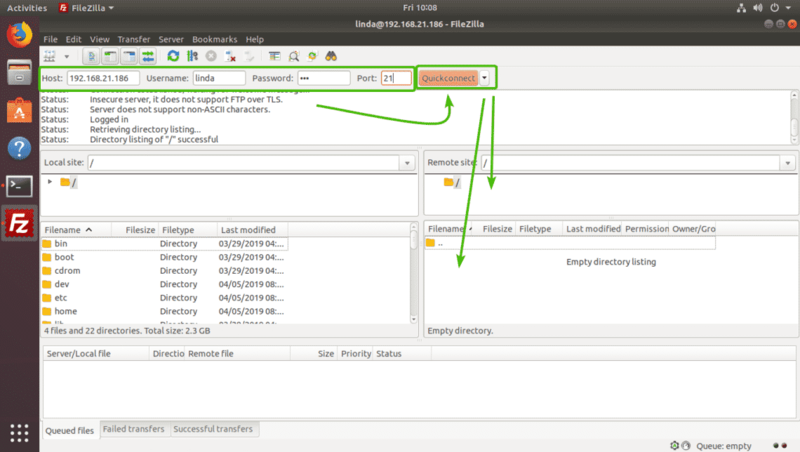 You can easily access your FTP server using FileZilla FTP client. 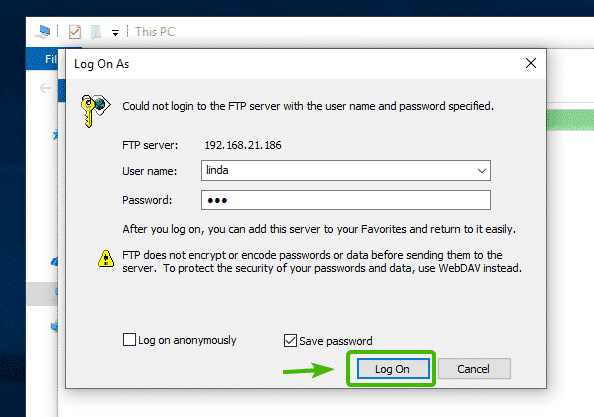 You can also add a FTP account on Windows as a network location. In this section, I will show you both ways of accessing the FTP server. As you can see, the IP address of my FTP server is 192.168.21.186. It will be different for you. So, make sure you replace it with yours from now on. To connect using FileZilla FTP client, open FileZilla, type in the IP address in the Host section, the login username and password in the Username and Password section, Port 21, and then click on Quickconnect. You should be connected. As you can see, I uploaded some files and it worked. If you want to mount your FTP account as a network location on Windows, open File Explorer and click on Computer > Add a network location as marked in the screenshot below. Now, select Choose a custom network location and click on Next. Now, type in the IP address of your FTP server (ftp://192.168.21.186) as marked in the screenshot below and click on Next. Now, make sure Log on anonymously is unchecked and type in your FTP username. Then, click on Next. Then, type in a name for your network location. It can be anything you want. Then, click on Next. Now, type in the password of your FTP user and click on Log On. You should be logged in. As you can see, all the files I’ve uploaded earlier with FileZilla is there. As you can see, I uploaded another file and it works. Now that you’re connected, you can access your FTP account whenever you want from the File Explorer of Windows. As you can see, I’ve added 2 more FTP accounts on Windows. I can simultaneous work with all of them now. So, that’s how you install and setup an FTP server on Ubuntu 18.04 LTS with vsftpd.